Made of high quality, temper hardened steel the Ultimate 420 features a 14mm shackle which double bolts into the lock body for robust protection against cutting and torsion attacks. 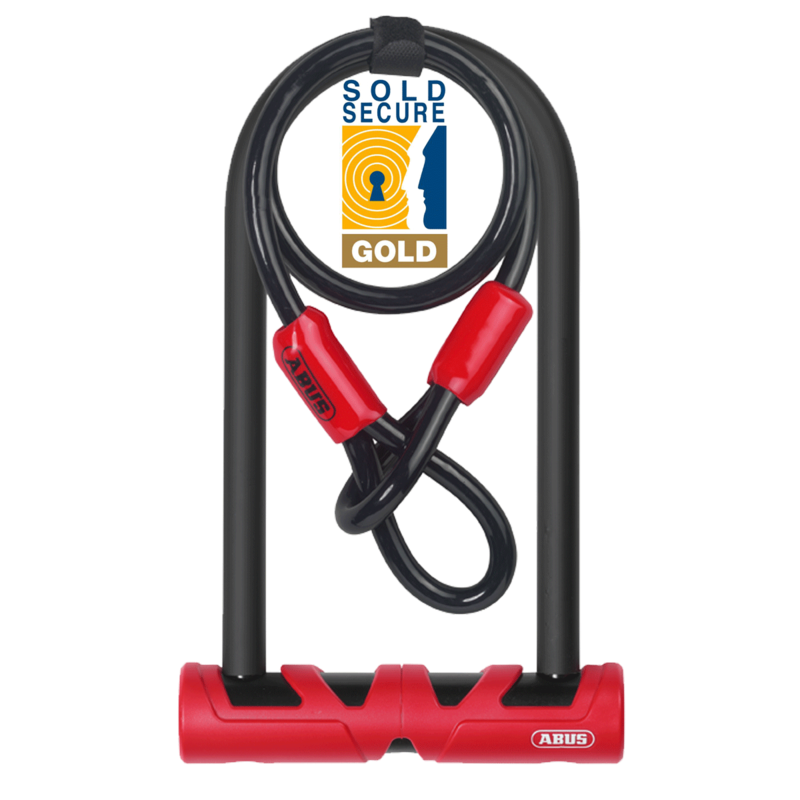 It also features an innovative soft touch cover that protects your frame and, like all ABUS locks, feature industry-leading corrosion resistance. The red lock body gives it an understated appearance that doesn`t look out of place when fitted to a bike. Supplied with the proven, rattle-free USH universal frame bracket it is insurance approved to Sold Secure Gold level.